NGC 4755 (also known as the Jewel Box, Caldwell 94 or Kappa Crucis Cluster) is an open cluster in the constellation Crux. It was discovered by Nicolas Louis de Lacaille in 1752. Later this cluster was named "the Jewel Box" by Sir John Herschel, who described its telescopic appearance as "a casket of variously coloured precious stones." 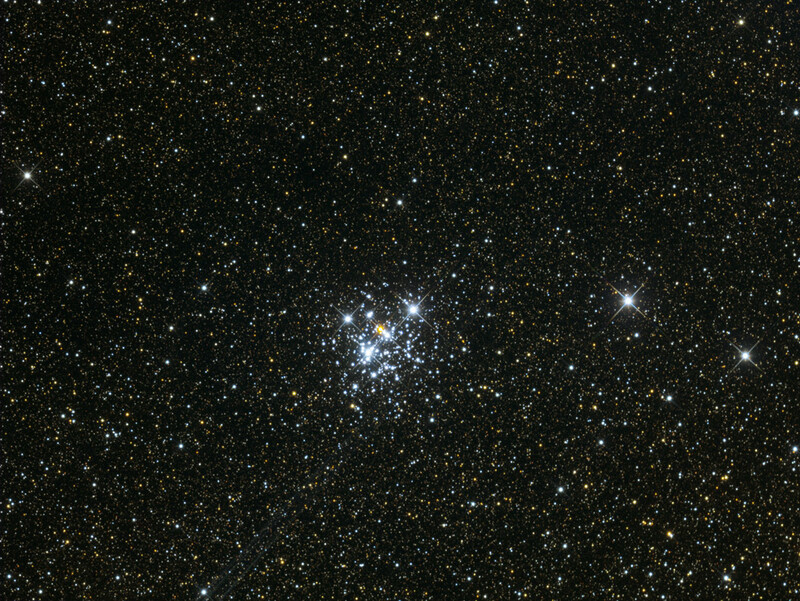 It can be easily found by the naked eye as a hazy star some 1.0° southeast of the star Beta Crucis (Mimosa). Its other name (Kappa Crucis) was given by its original Bayer star designation. 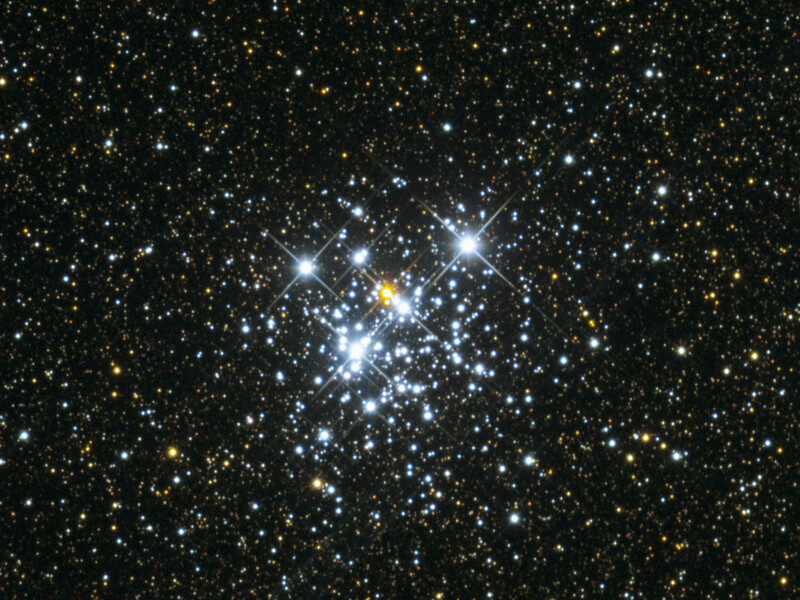 Since known as a star cluster, the second brightest cluster star, placed within the main A-shape, became known as Kappa Crucis. This is one of the youngest known star clusters, with an estimated age of 14 million years. Its total integrated magnitude is 4.2, and it is located 6,440 light years from Earth.